The new books about John Adams and his thoughts on aristocracy give me a chance to quote one of my favorite passages about him, from his old friend Jonathan Sewall. While I was in London, my quondam friend, John Adams, sent me a complimentary card, and afterwards made me a long friendly visit, as Mrs. [Abigail] Adams soon after did to Mrs. [Esther] Sewall. [The two women were cousins.] And they then earnestly pressed us to take a family dinner with them, in a way so evidently friendly and hearty, that I was sorry I could not comply. But having resolved to make no visits nor accept of any invitations, and having upon this ground previously declined invitations to dine with Sir William Pepperell, your friend Mr. [Richard?] Clark, and several other friends, I was obliged, to avoid giving offence, to decline this. When Mr. Adams came in, he took my hand in both his, and, with a hearty squeeze, accosted me in these words: “How do you do, my dear old friend?” Our conversation was just such as might be expected at the meeting of two old sincere friends after a long separation. Adams has a heart formed for friendship, and susceptible of its finest feelings. He is humane, generous, and open; warm in his friendly attachments, though, perhaps, rather implacable to those whom he thinks his enemies. And though, during the American contest, an unbounded ambition and an enthusiastic zeal for the imagined or real glory and welfare of his country, (the offspring, perhaps in part, though imperceptible to himself, of disappointed ambition,) may have suspended the operation of those social and friendly principles which, I am positive, are in him, innate and congenial, yet sure I am they could not be eradicated. They might sleep, inactive, like the body in the grave, during the storm raised by more violent and impetuous passions in his political career for the goal to which zeal and ambition, united, kept his eye immovably fixed; but a resuscitation must have been the immediate consequence of the peace. Gratified in the two darling wishes of his soul, the independence of America acknowledged and established, and he himself placed on the very pinnacle of the temple of honor, why, the very devil himself must have felt loving and good-natured after so complete a victory; much more, a man in whose heart lay dormant every good and virtuous social and friendly principles. Nature must, and, I have no doubt, did break forth and assert her rights. Of this I am so well convinced, that if he could but play backgammon, I declare I would choose him, in preference to all the men in the world, for my fidus Achates, in my projected asylum. And I believe he would soon find it the happiest state; for, if I am not mistaken, now he has reached the summit of his ambition, he finds himself quite out of his element, and looks back with regret to those happy days, when in a snug house, with a pretty farm about him at Braintree, he sat quiet, in the full possession of domestic happiness, with an amiable, sensible wife, and an annual increase of olive-plants round his table, for whose present and future support he was, by his own honest industry, for he was an honest lawyer as ever broke bread, rapidly making ample provision. He is not qualified, by nature or education, to shine in courts. His abilities are, undoubtedly, quite equal to the mechanical parts of his business as ambassador; but this is not enough. He cannot dance, drink, game, flatter, promise, dress, swear with the gentlemen, and talk small talk and flirt with the ladies; in short, he has none of the essential arts or ornaments which constitute a courtier. There are thousands, who, with a tenth part of his understanding and without a spark of his honesty, would distance him infinitely in any court in Europe. 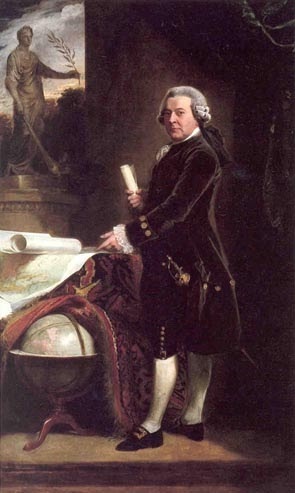 At this time Adams was the U.S. minister to London. Sewall thought he was ill suited to being a diplomat at a royal court. Of course, Sewall also thought that Adams had reached the “summit of his ambition,” with no idea of the positions of Vice President and President that the Constitutional Convention was about to create.